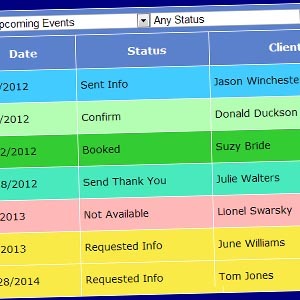 DJ Event Planner offers a multitude of tools to help manage your administration and make your life easier. With tons of different online planning tools, you need to be confident and sure the software you're using is the right fit for your business, so because the software was designed by DJs especially for DJs, it's perfect for your business. With a simple and easy to understand administration interface, DJ Event Planner can be set up quickly and you'll soon wonder how you managed without it. The fantastic thing about DJ Event Planner is all the tools you'll ever need are wrapped up in one piece of software. We've got email management, document creation, time planning, financial reporting and much more. DJ Event Planner allows you to store your client details securely online so you'll be able to access your client list at a touch of a button from ANYWHERE in the world. Making event planning childs play! You can store the normal information such a name, address, and phone number into the planning software; you can add your own custom information for each client too! The Quick Search feature also means you'll be able to bring up your clients information or event details in seconds! Stop searching through paper files, go digital and save paper! From invoices to contracts, letters to reminders, you'll be able to create all your documents in digital form and access them instantly anywhere in the world! Using our HTML editor, integrated into our planning software, you can create and edit your business documents in minutes! Our editor offers an easy to use WYSIWYG toolbar along with a raw HTML option for more advanced users. Also with our built in "merge tags", you can automate and personalize each document in seconds! You will no longer need to manually update the clients details for each document you create. 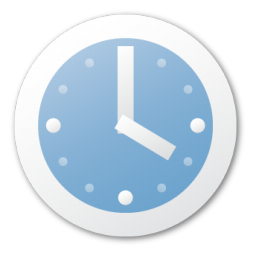 Keep everything in order and manage your time by using our tools! You'll be able to manage your appointments, meeting times, to-do items, and much more! Also with the dashboard calander feature, you'll be able to see the months event data in a quick glance. A simple color coded system allows you to quickly view everything you have planned. Everyone likes to make money, but sometimes keeping on top of managing it can be tricky! 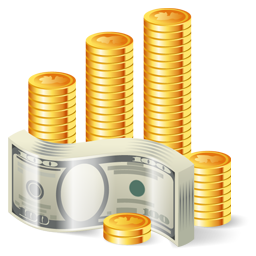 DJ Event Planner helps you manage your income and expenditure from within your online planner. With the software, you'll be able to record milage, employee wages, reciepts, and much more! Our reporting tools will give you an amazing visual view to assist in your end of year reports too! Generating reports is extremely easy and maybe, just maybe, your accountant will love you for it! 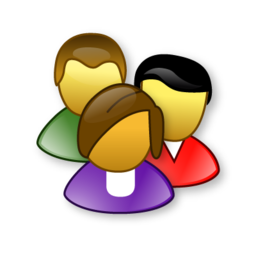 Managing staff is now easier then ever with our employee administrative tools. 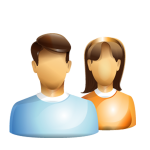 You'll be able to manage their time off, assign events to staff members, organize wages and payments, and much more. Employee limits are dependant on which plan you sign up for. Get started in minutes, sign up for free now! 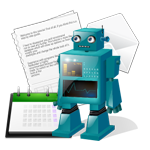 Email inboxes quickly get cluttered with junk mail; help yourself out with DJ Event Planner. By using our website tools, all your enquiries will be sent directly to your DJ Event Planner inbox (accessible from within the software) so you can see your leads straight away. 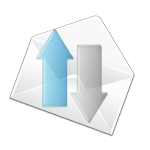 No more filtering through spam mail, adult emails, viagra emails etc... a clear email view that just works! Not only that, our email system allows you to send your clients emails. Then it logs the email to thier account within the system! Simple online tracking which makes life so much easier! Sometimes a customer might request a song that you're not too sure you have? 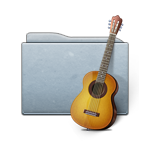 No need to worry any longer, with our music management tools! You have the option to use our built in databases or upload your own. Then using our event administration tools, you can see which songs have been requested and whether any action is required. The music management system also links to each client account so you can see each events requests quickly, making your event planning so much easier! Time is precious, time is money! Thats why our online planning software allows you to automate some of your actions to free up time in your life! From simply sending reminder emails, to following up with the client after an event, DJ Event Planner can help automate a lot of your tasks! Get back some of your day with DJ Event Planner! Our online planning software can also do a lot more! Why not sign up for a free trial today and see how DJ Event Planner will change how you work forever!